Created by the first and second grade students at Seven Locks Elementary School, "The Magic Canal Boat" is about the C&O Canal and how the school got its name. "Lock ready!" That was what the locktenders would call before locking a boat up or down. As a member of the C&O Canal boat crew, tending the lock is one of my favorite duties. I didn't begin to appreciate the ingenuity, workmanship, and beauty that the C&O Canal's historic structures represent until I fully understood how its locks worked. A lock functions like an elevator for boats. 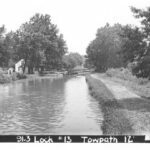 On the C&O Canal, there are 74 lift locks over its 184.5 miles. Each raises and lowers boats eight feet. Together, like a set of stairs, they enable the boats to overcome the 605-foot elevation change between Georgetown and Cumberland. 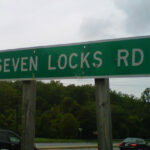 If you are a local resident, you may be familiar with Seven Locks Road, just off the Capital Beltway. 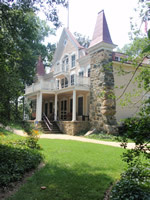 The road is the namesake of the Seven Locks section of the C&O Canal, a 1.25-mile stretch with seven locks right in a row. If you want to see the greatest number of locks together, this is the place to do it. 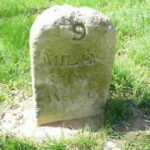 "Seven Locks" included Locks 8 to 14. From working our replica canal boats, I know how much work and precision goes into locking one boat through one lock... it's hard for me even to imagine locking upwards of 550 boats through all seven locks! Seven Locks inspires a sense of amazement about how all this was done with only water and human power. No modern machinery or petroleum products helped with the task of lifting and lowering these boats, which could weigh 140 tons each. If you have never been through a lock on a boat, you really should join us on one of our canal boat rides, which normally run from April through October. It only takes a few minutes for the boat to rise or drop. Occasionally the boat bumps up against the side of the lock, but otherwise the ride is relatively smooth. It feels like the boat is a rubber ducky in a bathtub. If fact, when all the paddles are closed, a lock is a lot like a big bathtub, which you either need to fill to go up, or drain to go down. A boat headed upstream enters an "empty" lock, one with the downstream gates open and the upstream gates closed. Once the boat is in, the downstream gates are closed. The locktender calls "lock ready!" The boat crew responds "boat ready" as soon as they are holding tightly to the ropes, or "lines", which run from the canal boat to the snubbing posts beside the lock so they can hold the boat in place while the water rushes into the lock. On the upstream gate, the locktender uses a lock key (huge wrench) to turn the stems that come up through the gate. As the stem turns, it turns small doors, called wickets or paddles, at the bottom of the gates. The wickets allow water to fill the lock and the boat rises. Once the water level in the lock is the same as the water level upstream, the upper gates can be opened and the boat can continue on to the next lock. Headed downstream, a boat enters a "full" lock, one with the upstream gates open and the downstream gates closed. If the lock is empty as the boat approached, the locktender would need to fill it quickly. 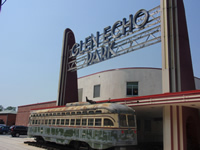 Once in, the upper gates are closed. The locktender then opens the wickets on the downstream gate, draining the lock like a bathtub. Once again, as soon as the water in the lock is level with the lower level, the downstream gates can be opened and the boat is on its way. 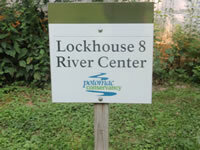 Lock 8 is a great place to start exploring the C&O Canal's lift locks. 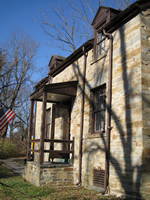 The adjacent stone lockhouse is very typical of the houses that most locktenders and their families lived in. 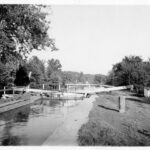 In most areas on the canal, a locktender would run one lock for the C&O Canal Company, but occasionally he may have been in charge of two adjacent locks. 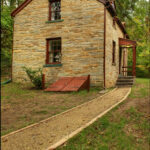 In return, he would make a small income, but also get free housing in the lockhouse and an acre of land nearby to garden. 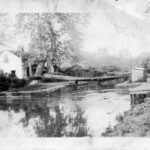 Locktenders and their families would often sell fresh produce and homemade goods to the canal boat families for a little extra income. Look at the gates on Locks 8, 9, 11, 13, and 14. 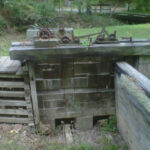 They, like most gates on the canal, are miter gates, which swing together and close to form an angle pointing upstream toward the higher water level. The water pressure pushing against those gates creates a seal that won't release until the water level balances on both sides of the gates. In contrast, Locks 10 and 12 have drop gate systems on their upstream ends. These gates operated by turning a metal wheel that raised or lowered the lock door. This process was much faster than swinging the miter lock gates because it could be controlled from one side of the canal. I hope that as you visit Seven Locks, you will be as impressed with the area as I am. It is a quiet and contemplative stretch of the canal. Yet, if you take the time to look closely, you'll see marks on the lock walls caused by ropes constantly wearing into them. The lift locks now sit as silent sentinels to the once bustling C&O Canal. 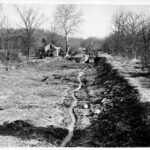 Please take a moment to envision the hustle and bustle of the 19th century, when the canal here was a highway of coal-laden cargo boats locking through each of the seven locks one at a time.